4 In 1 Bucket - Reach It! - Move It! - Crush It! Efficient multi purpose bucket – can be used as a normal bucket as well as a dozer blade, leveler or a grab. 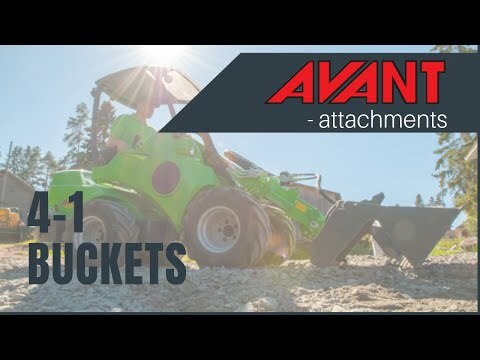 The front part of the bucket opens with 2 hydraulic cylinders, located on the back side of the bucket, which enables dozing, levelling and picking of stones, tree stumps etc. Another benefit of the opening bottom is that the bucket can be emptied at a higher level by opening the bottom instead of tipping the bucket edge down. Available with straight edge or with teeth.